Does anyone know where I can find scans of all the individual cd sleeves? These are not allowed to be posted on ER. Hopefully, you found what you sought. I do wish someone had bothered to make them accurate - stills from the actual concerts specific to the CDs. also wish the booklet for this release was more in depth, i found it flimsy and had read better magazine articles about the period. I hate to criticize such a gorgeous box but, though I love the work they did with it for a lot of different reasons, this would have been a nice touch, plus I would think they´d have better quality photos, as some of them look like clumsy polaroids. I sometimes mentally drool over the concept of a similar box for the NET. 200 CDs on cheap packaging, nice artwork and affordable price... One day, hopefully! I absolutely understand why the ER mods made the decision that these can't be posted on ER and totally get that they want to respect Sony's copyright so that Bob inc. will continue to let us share other things on ER. 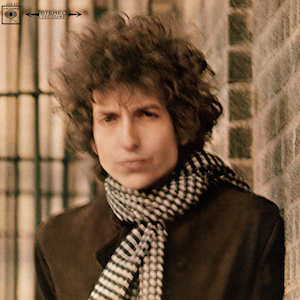 Surely the copyright of the sleeves of the 1966 recordings have exactly the same copyright protections as the cover of Blonde on Blonde, which is totally fine to post here. In terms of just wanting some great color 1966 pics, I'd REALLY like a scan (or an improvement) on the Paris shot of the full band in front of the Flag. CD 27. As of a year ago, I couldn't find any other color shots from that show. I think they've been intentionally withholding in-depth content in the box set booklets so we buy whatever volume Heylin-or-whoever is peddling as the tie-in. I'd believe this; if the Heylin 1966 book wasn't so similarly unsatisfying. Heylin is not someone who I'd read twice. I've never wanted to support those who attach themselves to internationally beloved artists as a way of promoting and selling their own meager products.